Benztropine is a dopamine transporter (DAT) inhibitor with IC50 of 118 nM. Trifluoperazine is an FDA-approved antipsychotic drug for schizophrenia. It is an inhibitor of calmodulin (CaM) and Dopamine D2 receptor with an IC50 value of 1.2 nM for D2 receptor. Vanoxerine is a potent and selective inhibitor of the presynaptic dopamine uptake complex. Trifluoperazine is a dopamine D2 receptor inhibitor with IC50 of 1.1 nM. Domperidone is an oral dopamine D2 receptor antagonist, used to treat nausea and vomiting. Fluphenazine dihydrochloride is a phenothiazine-class D1DR and D2DR inhibitor. It also inhibits Histamine H1 Receptor. Ropinirole a selective dopamine D2 receptors agonist with Ki of 29 nM. Quetiapine Fumarate is an atypical antipsychotic used in the treatment of schizophrenia, bipolar I mania, bipolar II depression, bipolar I depression and shows affinity for various neurotransmitter receptors including serotonin, dopamine, histamine, and adrenergic receptors. Metoclopramide is a dopamine antagonist used for the treatment of nausea and vomiting. Triflupromazine hydrochloride is an antipsychotic medication of the phenothiazine class. Tiapride is a drug that selectively blocks D2 and D3 dopamine receptors in the brain and is used to treat a variety of neurological and psychiatric disorders. Chlorprothixene HCl is the hydrochloride salt form of chlorprothixene, a typical antipsychotic drug of the thioxanthene (tricyclic) class. 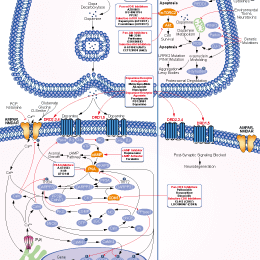 It exerts strong blocking effects by blocking the 5-HT2 D1, D2, D3, histamine H1, muscarinic and alpha1 adrenergic receptors. Paliperidone Palmitate is a palmitate ester of paliperidone, which is a dopamine antagonist and 5-HT2A antagonist of the atypical antipsychotic class. Tetrahydropalmatine, a plant alkaloid used as an ingredient in dietary supplement products, is a potent and selective D1 receptor antagonist. Molindone hydrochloride is the hydrochloride salt form of molindone, a conventional antipsychotic used in the therapy of schizophrenia. It is a dopamine D2/D5 receptor antagonist. Oxidopamine is a neurotoxic synthetic organic compound that acts as an antagonist of the neurotransmitter dopamine with potential antineoplastic activity. Melitracen hydrochloride is a potential dopamine D1/2 receptor antagonist which has antidepressant properties. Paliperidone, the main active metabolite of Risperidone, is a potent serotonin-2A and dopamine-2 receptor antagonist, used in the treatment of schizophrenia. Haloperidol (Haldol) is an antipsychotic and butyrophenone. Chlorprothixene has strong binding affinities to dopamine and histamine receptors, such as D1, D2, D3, D5, H1, 5-HT2, 5-HT6 and 5-HT7, with Ki of 18 nM, 2.96 nM, 4.56 nM, 9 nM, 3.75 nM, 9.4 nM, 3 nM and 5.6 nM, respectively. Droperidol is a potent antagonist of dopamine subtype 2 receptors in the limbic system. Lurasidone is an atypical antipsychotic, inhibits Dopamine D2, 5-HT2A, 5-HT7, 5-HT1A and noradrenaline α2C with IC50 of 1.68 nM, 2.03 nM, 0.495 nM, 6.75 nM and 10.8 nM, respectively. Perphenazine is a phenothiazine derivative and a dopamine antagonist with antiemetic and antipsychotic properties. Penfluridol is a highly potent, first generation diphenylbutylpiperidine antipsychotic. Rotundine (L-tetrahydropalmatine, L-THP) is a selective dopamine D1 receptor antagonist with IC50 of 166 nM. Prochlorperazine dimaleate is a dopamine (D2) receptor antagonist. Alizapride HCl is a dopamine receptor antagonist used for the theropy of nausea and vomiting. Tetrabenazine(Nitoman, Xenazine) acts primarily as a reversible high-affinity inhibitor of mono-amine uptake into granular vesicles of presynaptic neurons by binding selectively to VMAT-2; Also blocks dopamine D2 receptors, but this affinity is 1,000-fold lower than its affinity for VMAT-2. Azaperone crosses the blood-brain barrier and binds to both DI and D2 receptors, being an antagonist of Dopamine receptors with sedative and antiemetic effects, which is used mainly as a tranquilizer in veterinary medicine. Metoclopramide HCl is a selective dopamine D2 receptor antagonist, used for the treatment of nausea and vomiting. Cariprazine, a novel second-generation antipsychotic, is a D3-preferring dopamine D2/D3 receptor partial agonist. Cabergoline, an ergot derivative, is a long-acting dopamine agonist and prolactin inhibitor. Pramipexole dihydrochloride is a dopamine agonist of the non-ergoline class indicated for treating Parkinson's disease (PD) and restless legs syndrome (RLS) with Ki values of 3.9 nM, 2.2 nM, 0.5 nM and 5.1 nM for D2S receptor, D2L receptor, D3 receptor and D4 receptor. (A) A focused screening of Aβ generation in response to levodopa, piribedil, bromocriptine or carbidopa at indicated concentrations in SK-N-SH cells. Data are mean ± s.e.m., n = 3-4. *p < 0.05; ***p < 0.001 versus the control of each group. Amantadine HCl is used to treat or prevent infections of the respiratory tract caused by a certain virus. Pramipexole is a partial/full D2S, D2L, D3, D4 receptor agonist with a Ki of 3.9, 2.2, 0.5 and 5.1 nM for D2S, D2L, D3, D4 receptor, respectively. Dopamine HCl is a catecholamine neurotransmitter present in a wide variety of animals,And a dopamine D1-5 receptors agonist. Pergolide Mesylate is an antiparkinsonian agent which functions as a dopaminergic agonist. Flupentixol, an antipsychotic neuroleptic drug, is a powerful antagonist of both D1 and D2 dopamine receptors and also an alpha-adrenergic receptor antagonist. Fenoldopam is a selective dopamine-1 receptor (DA1) agonist with natriuretic/diuretic properties. It lowers blood pressure through arteriolar vasodilation. SKF38393 HCl is a selective dopamine D1/D5 receptor agonist. Brexpiprazole is a novel D2 dopamine and serotonin 1A partial agonist, called serotonin-dopamine activity modulator (SDAM), and a potent antagonist of serotonin 2A receptors, noradrenergic alpha 1B and 2C receptors with Ki values of 0.3, 0.12, 0.47, 0.17 and 0.59 nM for D2L, 5-HT1A, 5-HT2A, α1B receptors and α2C receptors respectivey. PD 128907 HCl is a potent and selective dopamine D3 receptor agonist, with EC50 of 0.64 nM, exhibits 53-fold selectivity over dopamine D2 receptor. Rotigotine is a dopamine receptor agonist, used in the treatment of Parkinson's disease and restless legs syndrome. MPTP hydrochloride is a dopaminergic neurotoxin and cause selective destruction of dopaminergic neurons in animal models of parkinsonism. Octopamine (OA), a biogenic monoamine structurally related to noradrenaline, acts as a neurohormone, a neuromodulator and a neurotransmitter in invertebrates.